There are two sides when it comes to customers and the emergence of a new technology. On the one hand, we have consumer adoption and on the other hand consumer acceptance. Adoption is the process of consumers using a technology. Acceptance is the process of non-consumers tolerating the existence of a technology. I have covered acceptance in a separate post; here I am going to look at adoption (also referred to as diffusion). Concretely I will look at the adoption of fully autonomous cars. This Level 5 autonomy implies that autonomous cars will be introduced in a big bang approach skipping all semi-autonomous levels  and putting Level 5 cars directly onto our streets. There are two reasons why I consider this bang approach impossible. Firstly, direct introduction would be impossible because autonomous cars are not an isolated product but part of a bigger system. This so called socio-technical system requires a myriad of other things to happen before we can use Level 5 cars en masse on our streets. The only alternative is the incremental introduction of autonomous cars in niches. the degree to which an innovation is perceived as being better than the idea it supersedes. The degree of relative advantage is often expressed as economic profitability, as conveying social prestige, or in other ways. . The following list contains autonomous cars’ relative advantages that could push consumer adoption. Following this list, I have explained these points in detail. Furthermore, I have concluded explaining why the often-quoted safety advantage (lower traffic accidents) might be an irrelevant relative advantage. Assuming that autonomous cars will be electric and connected cars as well, their lower mechanical complexity and possibility for over-the-air updates could result in lower recall rates. Autonomous cars as enablers of improved delivery (cheaper, quicker, more frequent…) and decentralized car selling (the cars consumers want to purchase come to them instead of them, the consumers, visiting dealerships) are advantages related to people’s preference for online shopping that could push diffusion. Autonomous cars would fulfill consumer’s desire for more, better and newer in-car technology. They would do so through shorter release cycles (made possible through OTA and modularity). 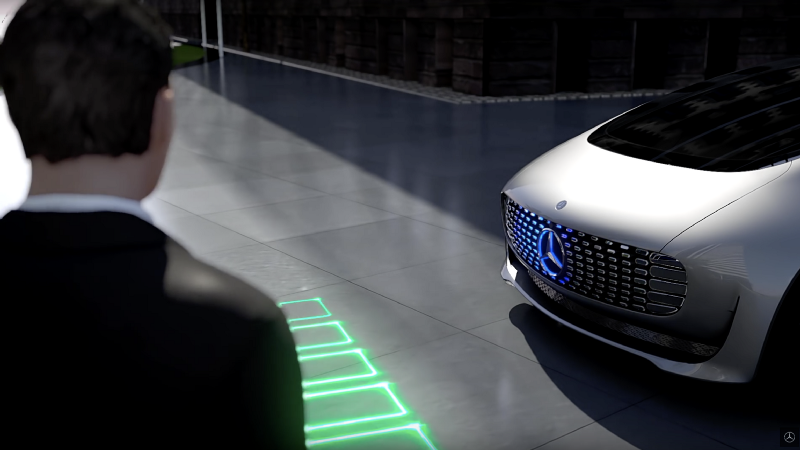 Furthermore, this advantage assumes that the visions car manufacturers have for the future of in-car technology become a reality . Nevertheless, this advantage could, however, lose some of it attractiveness when today’s cars start closing the gap between available in car technology and consumer’s expectations towards that technology. Also, autonomous cars can be seen as traffic optimizers by providing more pleasurable transportation in traffic jams. There might, however, be better solutions to traffic optimization such as The Boring Company’s electric skates (underground tunnels where cars are being transported automatically). Further, for this to be a really compelling advantage, advanced in-car technology would be necessary as else drivers would get bored [see 4 and “Autonomous cars could be adopted because they pose as a third place between the home and the office” below]. 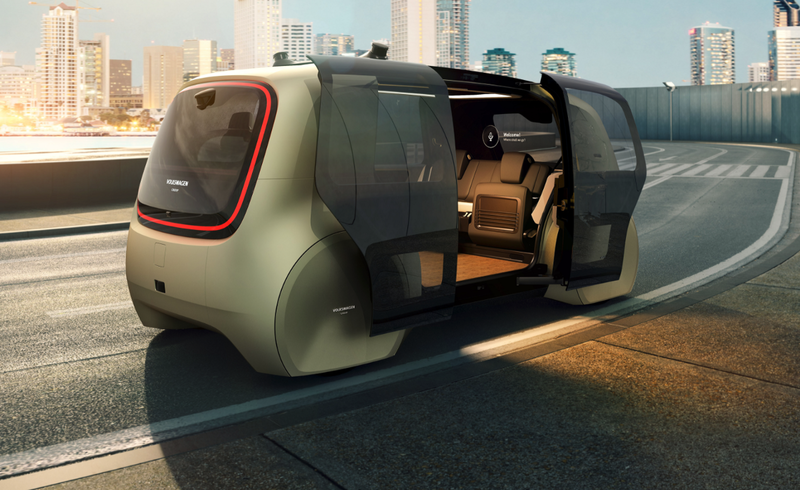 Autonomous cars could enable integrative transportation by including new members such as children or blind people into the individual, on-demand, door-to-door transportation system. Today, the purpose of cars can be broadly separated into active and passive driving. Active driving refers to cars which people drive themselves and use for activities such as “pleasure driving” (e. g. cruising) or transportation of goods. This category represents the majority of today available cars. Passive driving refers to being driven and using the car for work, relaxation and similar. In that use case cars are a third place between the home and the office and are mostly exclusive to “people with money”. 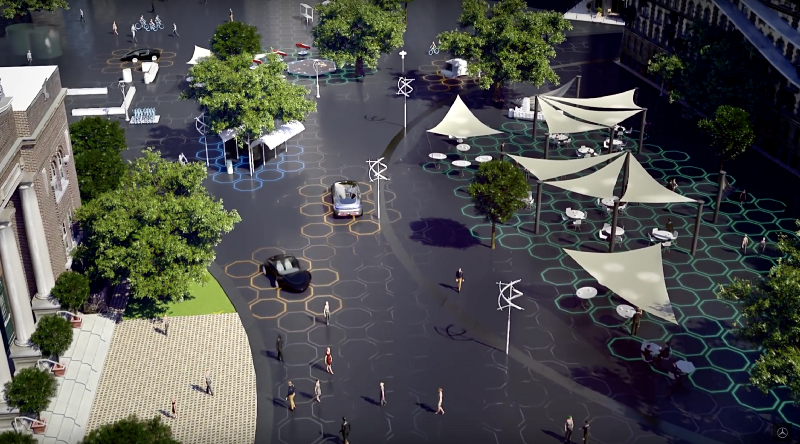 In a future with autonomous cars such third spaces could become available to “everybody”. However, depending on what kind of third place autonomous cars would offer, this relative advantage could backfire. Consumers have expressed concerns with an “office on wheels” (as shown by the following two quotes) as that would increase the pressure to perform. Furthermore, the significance of this relative advantage could be lowered because such third spaces are taking away something people like, namely driving. Autonomous cars are enablers of individual, on-demand, door-to-door transportation without car ownership or the need to drive. Such driverless taxis would enable people to get directly to any place at any time with full control over the driving experience without actually owning a car or having to drive. However, ride- and carsharing can be interpreted as competing technologies to autonomous cars because they are conceptually the same . In addition to the issues with cars as a third place (see above the concerns with an “office on wheels” and taking away the possibility to drive), the loss of the car as a status symbol might be another reason against such taxis. It seems, namely, that the car as a status symbol will be of importance to consumers in the future as well. Job loss would be another issue, especially relevant to society as a whole. As explained above, autonomous cars are enablers of individual, on-demand, door-to-door transportation without car ownership or the need to drive. Conceptually, this is very similar to what public transportation enables: buses, trains and especially taxis are on-demand (with restrictions) and, when including bike sharing as a public means of transportation, door-to-door transportation is also possible. However, while there is no need for driving or ownership public transportation is hardly individualized. This is probably one of the reasons why public transit is, at least in Germany, hardly used (more than 30% of the population uses public transportation never or only once a month). The autonomous car as an enabler for individual, on-demand, door-to-door, automated transportation covering the public transportation’s convenience but removing its disadvantages would, therefore, be a perfect solution for the public transit dilemma. In fact, according to BCG, 20% of all routes undertaken by public transportation in Chicago could move to fully autonomous cars by 2030. 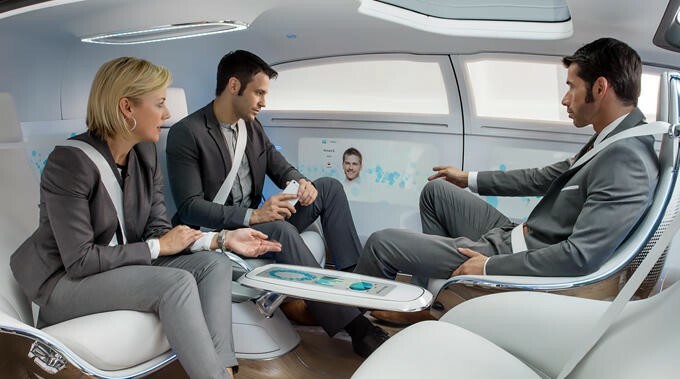 With autonomous cars everybody would own a personal butler for things like driving kids around or running errands. Furthermore, such an autonomous car could also maintain itself by going to the mechanic, for example. I have explained here, that it might be wrong to see the autonomous car as the central technology of “the future of mobility” (as I am doing here). Considering everything going on today (e. g. sharing economy, increase of online shopping…) “the future of mobility”, instead of the autonomous car, could be the “right” unit of analysis here. In this “future of mobility” autonomous cars would be just one part of the puzzle alongside bike sharing, flying cars, automated underground tunnels (e. g. The Boring Company’s electric skates), flying/driving drones and so on. In this future the autonomous cars’ advantages would stem from the interlinking of multiple benefits. Firstly, this would include all the ones mentioned above (autonomous cars as butlers, third spaces, improved delivery…). Secondly, the combination of new motorizations (such as the electric motor) with autonomous cars will yield additional advantages. Other significant advantages would stem from literal landscape changes such as more public and open space through a separation between driver’s location and car or by giving people more power on streets [6; and images below]. I question the reduction of traffic accidents as an adoption driver because I have difficulties imagining that individuals perceive them as an issue. Drivers do not care about traffic accidents because only 0,020% of all licensed drivers in the USA were involved in fatal crashes in 2015 (based on the 43,000 licensed drivers involved in “fatal crashes” relative to 218 million licensed drivers, both times in the USA in 2015). the degree to which an innovation is perceived as consistent with the existing values, past experiences, and needs of potential adopters . and is positively correlated with consumer adoption, meaning that the higher the compatibility, the higher is consumer adoption . In regards to autonomous cars, an issue arises because the autonomous car changes the role of the car. Such transitions then make the autonomous car incompatible with people’s current expectations towards cars. Considering how deeply the car is ingrained into our society shows how difficult this change will be. In fact, it is so deeply integrated into “social and societal (socialization) processes” that it some argue that it has become a subject rather than an object or a “symbolic extension of the human body” . Let’s look at one example of that transition, namely the one from active to passive driving. The transition from active to passive driving affects two of the car’s most significant functions. On the one side, it takes away the car’s function as tool for expressing “identity” as shown by the interest in driving, for example. On the other side, it is its function as the above-mentioned third or private space. Based on these two functions autonomous cars might not be compatible with manual cars (which is alright because manual cars are not compatible with our lives altogether) but compatible with our lives. The above-quoted MIT-study hints at the often repeated, strong argument against autonomous cars, namely the loss of driving (i. e. the loss of expressing “identity”). Not being able to drive is incompatible with what people are used to in cars and is thus a diffusion hindrance (see quote). Moreover, autonomous cars without a steering wheel will be super scary because they are so fundamentally different. In this sense, driving assistants (such as braking assistants) will be of utmost importance in familiarizing people with autonomous driving by incrementally increasing compatibility . However, in this context one must not fall into the “backward-looking trap”. This trap refers to the fallacy of interpreting a new technology (here autonomous cars) too much based on the standards of the incumbent technology (here manual cars). Instead one must acknowledge that the new technology will bring new standards and characteristics and render some of the one from the incumbent technology meaningless. The increasing interest in electric bikes, the decline of the muscle car and the emergence of the first cars are fantastic examples for that. As bikes are often solely bought for “pleasure driving” (e. g. cruising) I can easily imagine that numerous people dismissed electric bikes when they first appeared. Nevertheless, latest changes show that even something as traditional as that can change. Furthermore, there is hope for the idea of self-driving cars if we compare how hardly spread muscle cars are now compared to how it was before stricter emission laws sent that market in decline . In all this, one must not forget the changes in consumer’s mind that the first cars created. For example, with its introduction the manual cars’ high speed was inconceivable for consumers and it took some getting used to. In fact, the first time cars appeared on streets, consumers didn’t accept them due to their high speeds. It was only after another means of transportation, the e-tram, familiarized people with faster driving vehicles that the cars’ high speeds gained acceptance. Instead of comparing autonomous cars to manual cars, they can also be interpreted in the context of our way of living. Here the car’s third space functions as a “refuge from what is felt to be stressful, hectic, loud, and overcrowded modern life” and is an enabler for social interaction where people can occupy the same social roles as they do in other parts of their lives (e.g. colleague, friend, parent…). It is believed that this “cocoon” function is becoming increasingly important over the years. Evidence for that growing importance is increasing consumer demand for SUVs with their large interiors, the increasing use of driving assistants and the “liberation from the driving task” they bring with them as well as consumer’s growing demand for in-car entertainment as tools for fulfilling their desire for in-car relaxation or conversation. If autonomous cars reduced traffic, they would lead to less stress and fit even more into people’s lives. and is believed to be negatively correlated with consumer adoption, meaning that the higher the complexity, the lower is consumers’ adoption . Computers are a great example where too high usage complexity (in the form of the first interfaces) prevented an innovation from entering the mainstream market . In regards to autonomous cars I don’t think that we have a usage problem like in the case with computers, but rather an understanding problem like with elevators. Although elevators are very safe, numerous people are afraid of them. Amongst others, this fear stems from people’s misunderstanding of elevator’s workings. These misconceptions, in turn, are caused by fear-infusing, scary scenes showed in movies. Thus, I believe that people’s incapability to comprehend autonomous cars’ decision making and scaring misconceptions conceived through media  will slow down the diffusion. Furthermore, I have shown in The changing meaning of autonomous cars from the 1920s to 2017 how autonomous cars’ film perception has changed over the years. Today we are at point where autonomous cars can drive safely but are considered a means of achieving a totalitarian society. The consequences of this complexity can be lowered by either trying autonomous driving technology (on a trial biases) or by observing such technology in public. For autonomous cars trialability will be important for two reasons. Firstly, it will familiarize people with the practices of autonomous cars. Secondly, and more importantly, such trialability will serve as a proof of concept to increase people’s trust towards autonomous cars. As shown with the MIT survey (see below), lacking trust and doubting autonomous cars’ safety and flawless functionality are the biggest reasons against the purchase of an autonomous car. If people can try accident-free autonomous cars before fully committing (financially) to them, the chances of consumers purchasing autonomous cars, after all, will grow. This proof of concept, as well as the before-mentioned familiarization, can happen through driving assistants (such as braking assistants), lower levels of autonomy [14,3], carsharing or passive use of autonomous cars (e. g. driving around with autonomous vehicles in amusement parks ). Such passive use might also be interpreted as “observing”. For autonomous cars observability will be important in the same way as triability is. Namely, to familiarize people with the practices of autonomous cars and as a proof of concept. This proof of concept demonstration will increase people’s trust if they can observe accident-free driving of autonomous cars (or rather if they cannot see any accidents). As shown with the MIT survey (see below), lacking trust and doubting autonomous cars’ safety and flawless functionality are the biggest reasons against the purchase of an autonomous car. With the importance of observability in mind it is alarming to know that approximately 40% of the German population doesn’t know anything about autonomous driving , a technology that is supposed to hit the roads by 2020 ! Similar to above, driving assistants, lower levels of autonomy, carsharing, passive use of autonomous cars and appearance of autonomous cars in people's lives (media, streets…) will increase observability and thus drive acceptance. 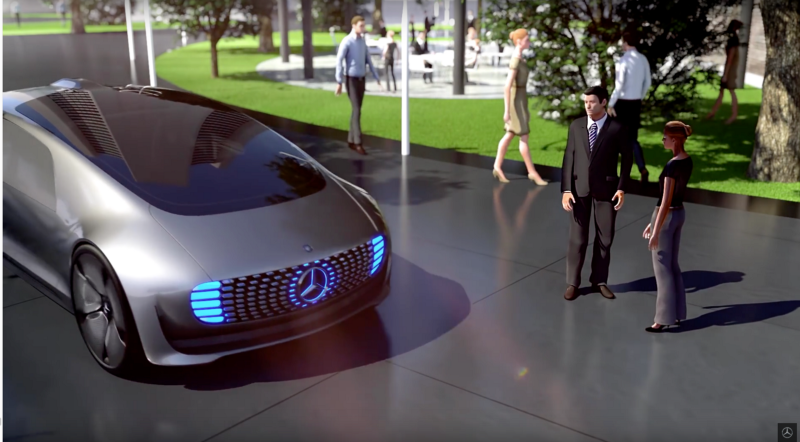 I have outlined in https://medium.com/@leo_pold_b/how-and-which-technology-might-influence-the-autonomous-cars-adoption-3f7208d4e634 which technologies besides self-driving tech will be necessary for autonomous cars to diffuse. In https://medium.com/@leo_pold_b/the-consequences-of-autonomous-cars-3303f1787379 I explain how “the sinking importance of car culture (fueled by autonomous cars) and the streets’ changing purpose, will encourage people to walk and bike more”. The quote originates from a scientifically conducted group discussions in Berlin. The results were published in Taking a Drive, Hitching a Ride: Autonomous Driving and Car Usage. The above-quoted MIT-study about the reasons why people would “never purchase a car that drives itself” is a good example for the importance of compatibility. Whereas 59 percent of survey participants would be comfortable with “features that actively help the driver, while the driver remains in control”, only 13 percent would be so with “features that completely relieve the driver of all control for the entire drive”. One reason for that favorability is that people are already familiar with such semi-autonomous driving features, in other words, they are compatible with what people are used to today. I have described here how amusement parks could be the first area of application for Level 4 autonomous cars. Level 4 (”mind off”): As level 3, but no driver attention is ever required for safety, i.e. the driver may safely go to sleep or leave the driver’s seat. Self driving is supported only in limited areas (geofenced) or under special circumstances, like traffic jams. Outside of these areas or circumstances, the vehicle must be able to safely abort the trip, i.e. park the car, if the driver does not retake control. Level 5 (”wheel optional”): No human intervention is required. An example would be a robotic taxi. I have explained in https://medium.com/@leo_pold_b/how-and-which-technology-might-influence-the-autonomous-cars-adoption-3f7208d4e634 how such ride- and carsharing could compete with autonomous cars. Research in regards to the relevance of complexity is not entirely conclusive. For example, it is believed that complexity “may not be as important as relative advantage or compatibility for many innovations, but for some new ideas complexity is a significant barrier to adoption“ .